Free Meditation Music is a free meditation app to relax the body and mind. Enjoy listening to the beautiful melody meditation sounds that will aid you in finding inner peace, helping reduce stress and even to fall asleep. Self-Healing is our humble effort to bring spiritual, physical and mental health along with happiness in your life with the well-proven tips and knowledge from the ancient and modern sciences. It contains content from more than 30 topics like as Meditation, Yoga, Ayurveda, Asana, Modern Medical Science, Homeopathy, Unani, Tantra, Sidhha and many more science like this. 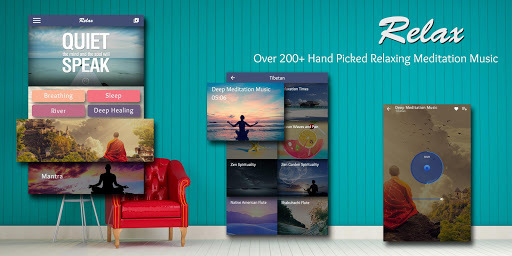 Free Meditation Music – Self-Healing app contains healing sessions and content from different topics like Spiritual meditation, mantra, touch, River, Waterfall, acupressure, food, crystals, rudraksha, plants, pyramids, prayers, Buddha and many more. - Download the Meditation Music – Self-Healing app now and live anger free life. - Meditation Music - Play Om mantra and select how many times you want to play. - Meditation Music – Self-Healing music can be connected to external stereo system. 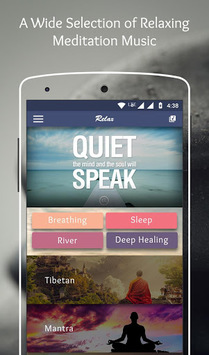 - Aim of our meditation app is to bring mental, physical and spiritual health. - Timer to fit your desired meditation duration and use Yoga music for healing exercise. 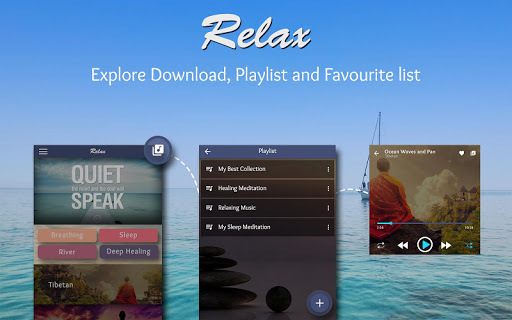 - Playlist (Play music) functionality and be happy after listening Meditation Music. 200 Free music meditation tracks, Buddhist Meditation, Meditation Music, Meditation Guided, YouTube Meditation, Meditation Sleep, Yoga Meditation, Mindful Meditation, Meditation - Topic, Music of Meditation, Meditation Songs, Time spent Meditating, Guided Meditation, High Quality Meditation Music, Simple and beautiful design, Stress Relief, Perfect Rain, Inspiration Melodies, Nature Forest Melodies, Convent Sounds, Seaside Relaxation, Beautiful tunes and Sounds, Temple in the Hills Sounds, Mystic Temple Music, Meditation Melodies & Sounds, Group Healing, Negative Thoughts Meditation, Meditation Playlists The World's Most Popular Meditation Timer, Session extensions, Guided Meditations and Beautiful Meditation Music.